We are just 30 minutes from the Austrian border. Schwangau is home to two famous castles, which are nestled on the mountains next to a clear blue lake. Gorgeous. Wonderful for picnics, biking, boating and, if you can brave the cold water, swimming! 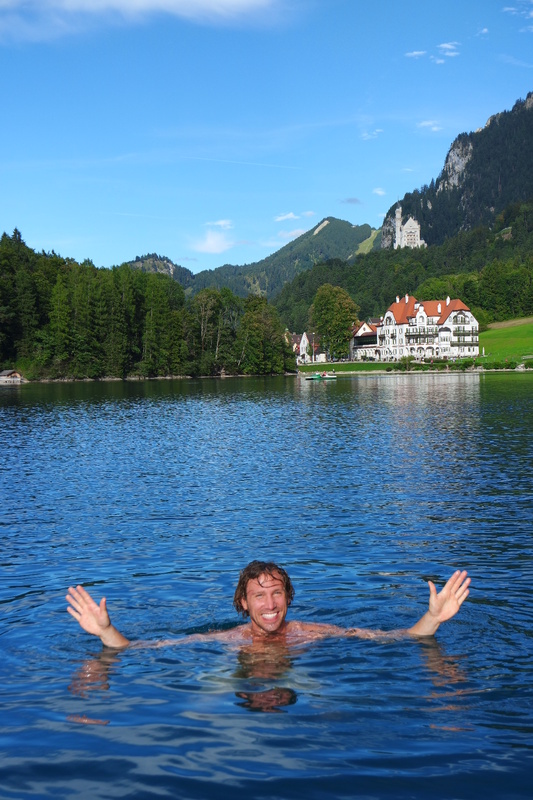 Posted in Crazy, Germany, SchwangauTagged castle, sightseeing, skinny dipping, swimmingBookmark the permalink.